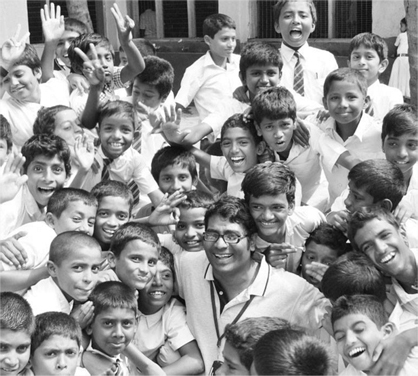 means Live life with joy by spreading happiness, sharing knowledge and helping young minds for a better tommorrow. We at Global Buzz believes in giving back to communities we serve for happier future. With this in mind, we set up Global Buzz Foundation (GBF) to carry out the corporate social responsibility activities of our company. We realize that being happy is very important factor in life and it can be achieved only through bringing a smile on someone’s face and making a difference. Mahesh A Talwar is the Co-founder and CEO of Global Buzz, india’s most trusted brand for digital soutions.